John developed an interest in airplanes in the 1930's. Whether his dream was fueled by the shared excitement the nation experienced following Lindbergh's successful crossing of the Atlantic Ocean or was just a simple urge to blaze his own trail in the sky instead of on the ground, John decided to learn to fly. In 1930's America, learning to fly was quite different than it is today. I can remember him telling me that he and his friends would taxi an old Pheasant OX5 up and down the length of a local farm field. 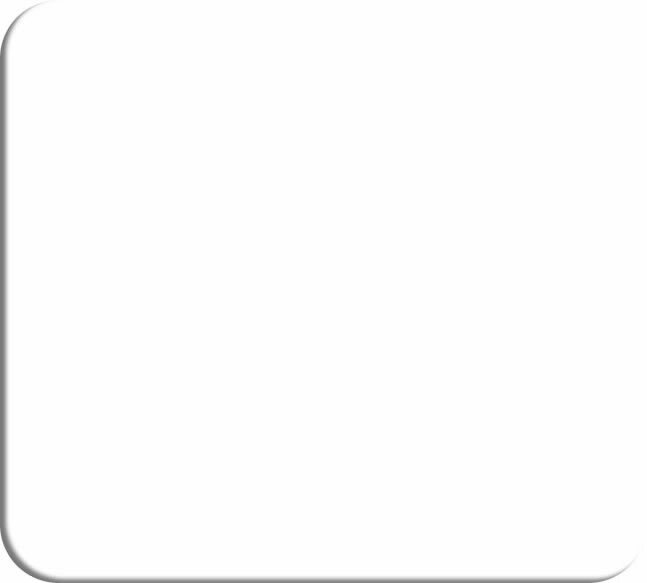 With each passing moment, the young men would get a bit more daring, cracking open the throttle a bit further and allowing the biplane to climb a few feet in the air. Eventually John learned to fly higher than a few feet from the ground, and he bought himself a brand new Piper Cub. The time he got to spend with his new plane was cut short by the attack on Pearl Harbor. With the government nervously curtailing civilian aviation in the wake of our entry into the war, John decided to sell his Cub. World War II interrupted John's pursuit of flight in the states, but he was able to put his interests to good use by serving his country as crew chief on a B-24. After returning home from World War II, John decided he would continue to pursue his love of aviation by expanding the airport in Harvard, Illinois from a simple strip of grass used to take-off and land airplanes to a full-service operation. 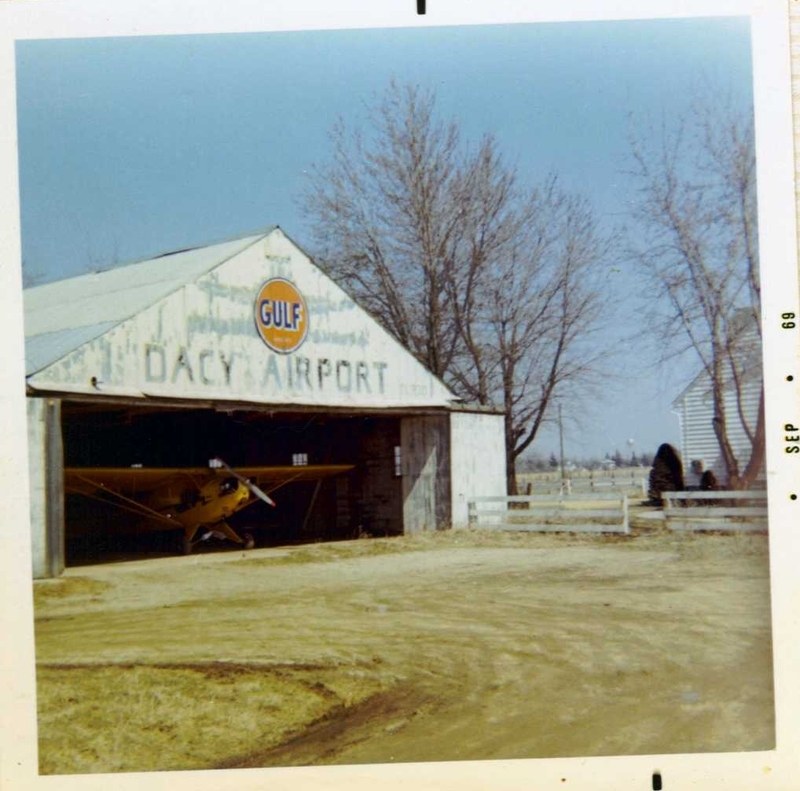 On land that was once the family farm, Dacy Airport was born! 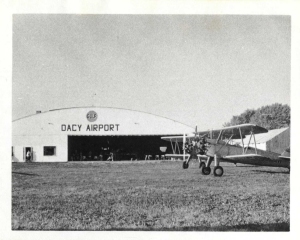 From being one of the largest Cessna dealers in the 1970's to its modern-day reputation as a friendly, back-to-basics, grass strip field where people can learn to fly away from the stress of the suburbs, Dacy Airport is everything John Dacy dreamed about back in the 1930's. 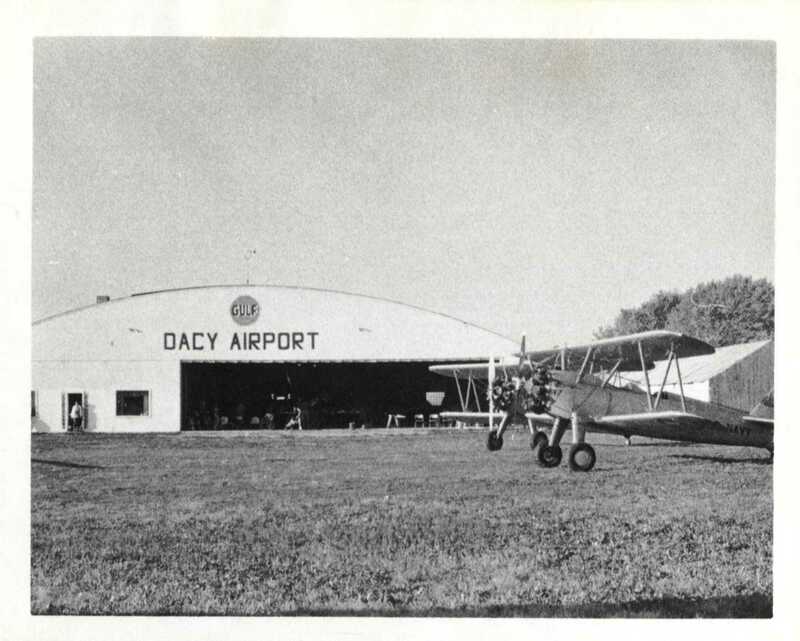 The original main hangar of Dacy Airport in September of 1969. Two Stearmans can be seen parked in front of the main hangar of Dacy Airport in this undated photo.